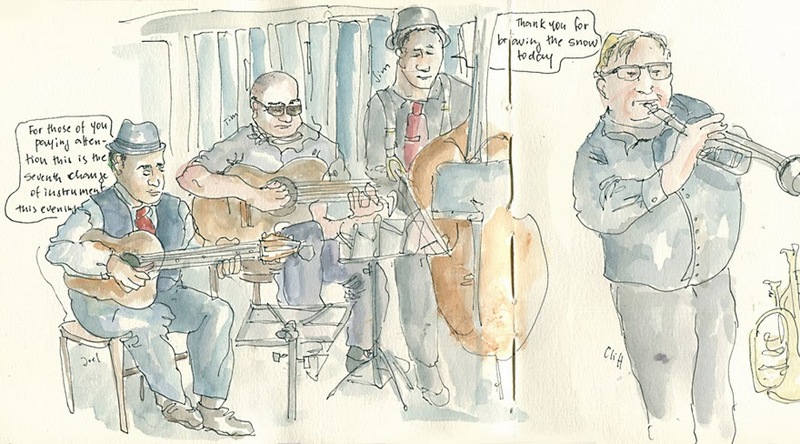 Portland Sketcher: Perola Brasileira at Mississippi Pizza on a snow day in Portland! Perola Brasileira at Mississippi Pizza on a snow day in Portland! Way to bring some tropical heat and flavor into the frozen Portland. One of my favorite bands performs in a ski lodge type environment.